If you are planning a trip to Maui in the next 12 months, you have to visit Haleakala National Park which is its biggest attraction. Haleakala is one of the two volcanoes that form Maui. It is the younger and larger of the two sitting 10,023 feet above sea level. 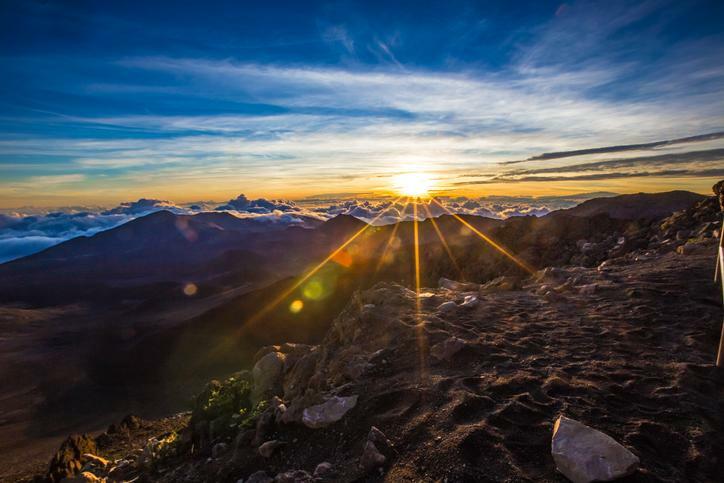 Haleakala is also the world's largest dormant volcano with some of the best viewing experience you'll find anywhere. Traveling across this sleeping giant will take you through a variety of ecological zones from subtropical lowlands to an alpine desert. 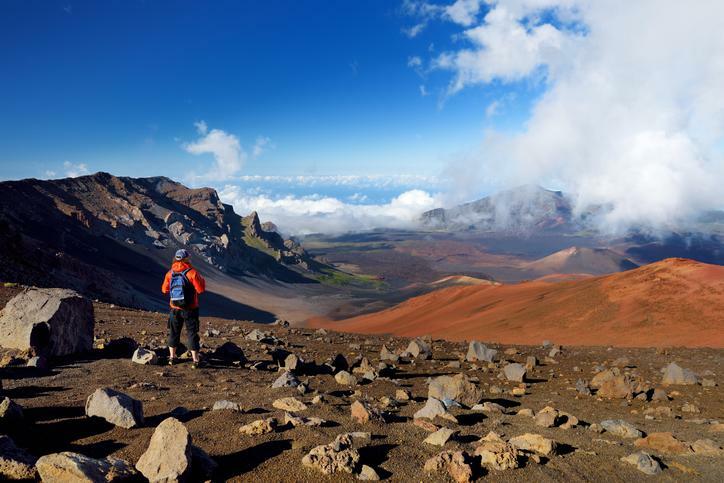 There are a number of ways that you can take in the momentous beauty of the Haleakala crater in Maui. Read on to discover more. In the Hawaiian language, Haleakala means 'House of the Sun'. According to legend, the goddess Hina complained that the sun crossed the sky too quickly, and her tapa cloth did not have sufficient time to dry. Her son, the demigod Maui, hid at the top of the mountain one morning before sunrise. As the sun rose, Maui captured it in his lasso and only released it after it agreed to move much slower across the sky creating longer sunny days. 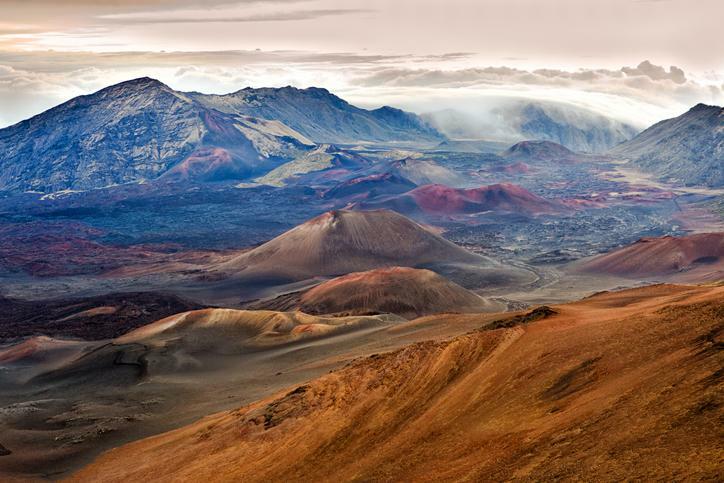 According to geographical history, the Haleakala Crater was formed eons ago. Though it is considered active, according to historical accounts its last eruption is dated back to the 17th century. The Haleakala Crater is not a typical volcanic crater. Your typical volcanic crater is roughly a bowl shaped depression, caused by volcanic activity where magma rises through vents. It is believed that Haleakala's crater was formed when the highest peaks of two large erosional valleys from the two volcanoes merged at its summit. The converged valleys were slowly eroded by torrential rains and other climatic changes until it became the vast amphitheater tourists love to visit today. The drive to the top of Haleakala is an adventure. Traveling along the well-maintained two-lane highway you will encounter blind turns, steep drop-offs, and some of the local animals like cows and the Hawaiian Nene (goose). The drive from sea level to the summit is 37 miles. The drive will take approximately two hours and along the way you will traverse some of the same ecosystems that you would on a drive from Mexico to Canada. Close to the base of the volcano you encounter the stream zone filled with aquatic plants and animals. Above the stream ecosystem, you find a dry forest. This dry fragile ecosystem has only a few patches of its terrain remaining due to fires and invasive animals who destroy its delicate native plants. At about 3000 feet, you'll find a lush rainforest. This area receives between 120-400 inches of rain per year. With this amount of precipitation and a protective canopy of foliage, you'll be able to spot ferns and other native trees like the koa and ohi’a. The rainforest is also home to honeycreepers who are native Hawaiian birds with curved bills used to extract nectar from flowers. Above the forest tree line begins the sub-alpine shrublands. This is where you will find the endangered Hawaiian Nene. There are also plenty of native shrubs and sturdy mid-sized trees. At about 7500 feet elevation, lies the alpine aeolian zone. This high altitude region has sparse vegetation and scarce food sources It is generally dry and has extreme temperature variations daily. Because it is so high, there is less atmosphere and the sun's UV rays are stronger. While planning your journey up this mountain, make sure you have plenty of fuel, water, snacks and sunscreen. Once there you are in for some iconic sights so don't forget your cameras. You'll have a birds eye view of Maui's unique flora and fauna. On a clear day, you can see five other islands including The Big Island Hawaii. 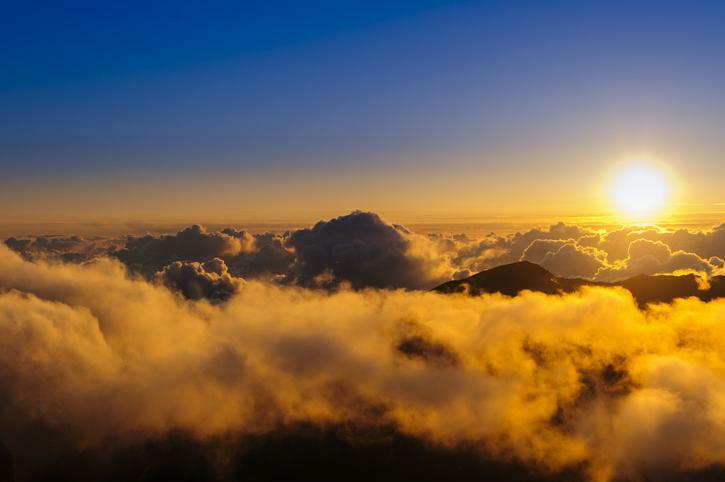 Although the views are spectacular anytime of day, sunrise and sunset on Haleakala are the most popular and for good reason. In order to enjoy the spectacular sunrise view, you'll have to start your day around 3 in the morning. You can choose to make the drive yourself, or book a tour and let someone else do the driving for you. After witnessing the most spectacular sunrise ever, you may be wondering what's next. One very popular activity is renting a bike and riding down from the summit. You can explore the mountain at your leisure, stop for beautiful photo ops, and take time to grab a snack at a restaurant or deli. There are also tour companies that offer bike tours. On these tours you can expect something like an early morning pick-up from your hotel, a nice comfortable van ride up the mountain while your tour guide provides you with the history of the crater, and some valuable information on dining options as well as the best stops for photos. Some tours will even provide you with hot coffee and a light breakfast. Once you get to your launching position, you will be provided with all the necessary equipment and gear for a nice comfortable trek back down the slope. There may be some requirements/restrictions for renting bikes to ride down Haleakala. 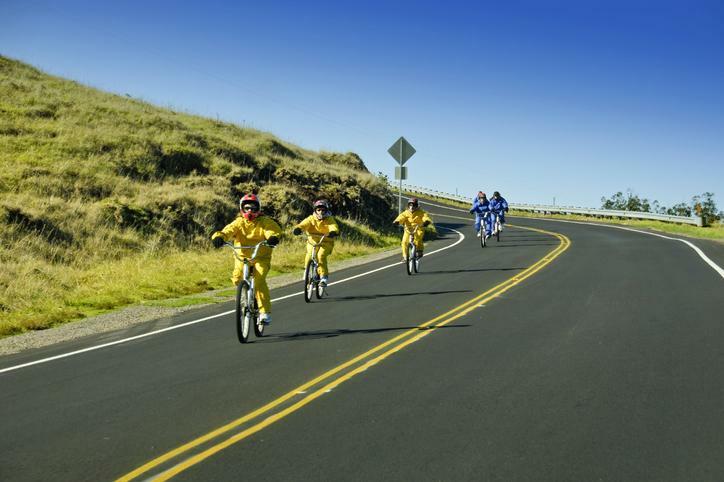 It is recommended that all bikers be at least 12 yrs of age, 4'10 and able to fit on an adult bicycle. You should also be aware of aggressive drivers and some areas where there are no guard rails. Tour operators are not allowed to the top of the mountain, so they will start you at about 6,500 feet. If you want to go all the way from the top you can do that if you take the bikes up on your own car, however, it can be tricky figuring out how to get your car again when you get to the bottom, unless you have one person that will not be riding a bike. Tours also have options, some include a sunrise visit, others include a later day time crater visit. Some have a guide and a van ride along with you, others drop you off and you meet them again at the bottom, doing the ride on your own schedule. We've done it with and without a guide, both have their advantages, as a guide will have a better idea of where to stop, but we still preferred the “on your own” option. Another activity you can take advantage of in this beautiful national park is hiking. There are a number of hiking trails to choose from on Haleakala depending on your level of hiking experience and preference. They will all give you beautiful scenic opportunities. You have the Sliding Sand Trails for experienced hikers which begins at the summit of Haleakala and covers up to 10.4 miles of breathtaking views. Be sure to bring plenty of water and snacks to help you endure these trails. The air at this elevation is thinner, and can require twice as much time and energy to hike. For you amateur hikers, you should consider visiting The Polipoli Spring State Recreation Area & Forest Reserve where you can tackle trails ranging from .6 miles to 1.7 miles at an average elevation of 7,000 feet. You will find yourself encompassed with the native flora and fauna of the area while enjoying magical views. One of the shortest hikes is right at the visitor's center, called Pā Ka‘oao, it's only about 0.4 miles and about 100 foot elevation change, but it walks you to a higher viewpoint of the crater which we enjoyed. We recommend at least this hike for pretty much everyone. If you're not into hiking, there are also 2 drive-in campsites available. You can choose between Kipahulu Campground or Hosmer Grove Campground. The first is located on the backside of Haleakala and offers easy access to the Seven Sacred Pools, a bamboo forest, and Waimoku Falls. The second is located in the cloud belt of Haleakala, it is surrounded by beautiful hiking trails, and has much cooler temperatures. There are no permits required, but it's on a first-come, first-served basis with a limit of 50 (Hosmer) to 100 (Kipahulu) people at the camp. 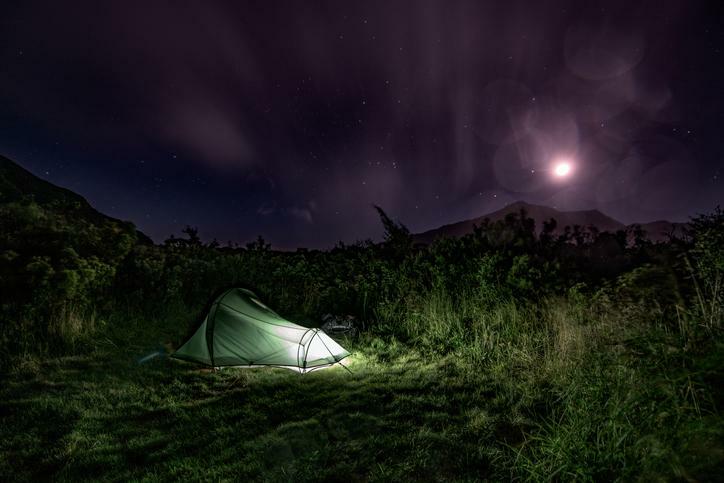 Stargazing - Haleakala has some of the best stargazing and observation sites world wide. Horseback riding - take a tour through Ulupalakua Ranch for some of the most scenic views on the entire island. Zipline - get your adrenaline rush while enjoying the Maui scenery on the Piiholo Zipline or Skyline Eco Adventures, which are located on the slopes of Haleakala. Paragliding - if ziplining doesn't give you a big enough rush, try tandem paragliding off the slopes of Haleakala. Make sure to bring your GoPro! Helicopter tours - view all of the hidden wonders and immaculate landscapes while hovering above in a helicopter. As you can see, you will have plenty of activities to choose from when you visit Haleakala in Maui. Whether you are an adrenaline junkie, or just want some leisure time there is something on Haleakala Crater to fit your personality. So start planning you trip today and make sure you pack your sense of adventure!